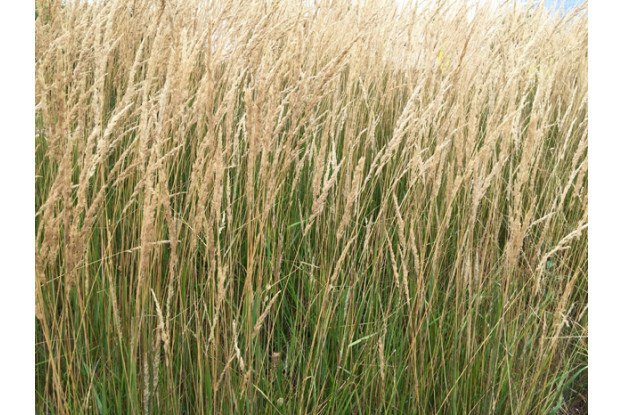 An introduced cool-season perennial bunchgrass, tall fescue is one of the most important pasture grasses used in the United States. It tolerates a wide range of soil conditions, temperatures and climates. Tall fescue can grow up to six feet tall and produces fair to good quality forage for all types of livestock. While older varieties of tall fescue are infected with endophytes which are toxic to livestock, our pasture-type tall fescue is endophyte-free and safe for all grazing animals. Tall fescue can be grown without supplemental irrigation on sites receiving at least 15 inches of annual precipitation.